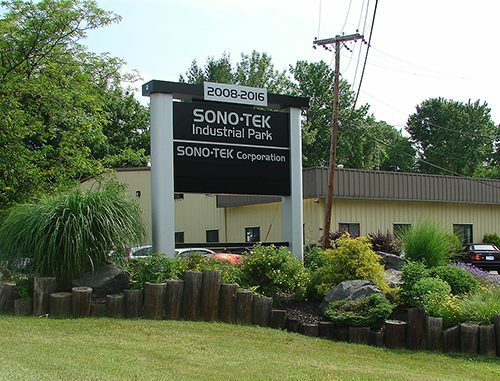 We encourage customers to visit our corporate headquarters at the Sono-Tek Industrial Complex, in Milton, NY, which houses our design and engineering facilities, our factory, a full in-house state-of-the-art laboratory testing facility, and administrative offices, including dedicated worldwide tech support. All of our products are designed and manufactured on premises, allowing full control and coordination of every aspect of our business. Customers can schedule testing in our laboratory to get a hands-on view of our equipment and simulate coating processes, often using their own substrates and chemistry. To learn more about how to take advantage of this key resource and our laboratory testing capabilities, visit our Laboratory Testing Services page. Located in the heart of Hudson Valley, NY, Sono-Tek’s geographic location offers visitors a rich variety of historical sites, natural beauty, premier golfing and shopping venues. And a short train ride makes New York City highly accessible for an added day trip or excursion. Sono-Tek maintains an additional sales support office in Hong Kong to facilitate our Asian customers. We also have laboratory testing facilities located at our headquarters in Milton, NY, as well as in Germany, China (Guangzhou), Korea, Japan, Russia, Taiwan, and Turkey. A list of local area accommodations close to Sono-Tek. Be sure to inquire whether there are special rates available for Sono-Tek visitors. Highly recommended short distance from our location.